A newly described species of titanosaur with a heart-shaped tail is helping scientists understand how ecosystems on continental Africa evolved 100 million years ago during the Cretaceous period. 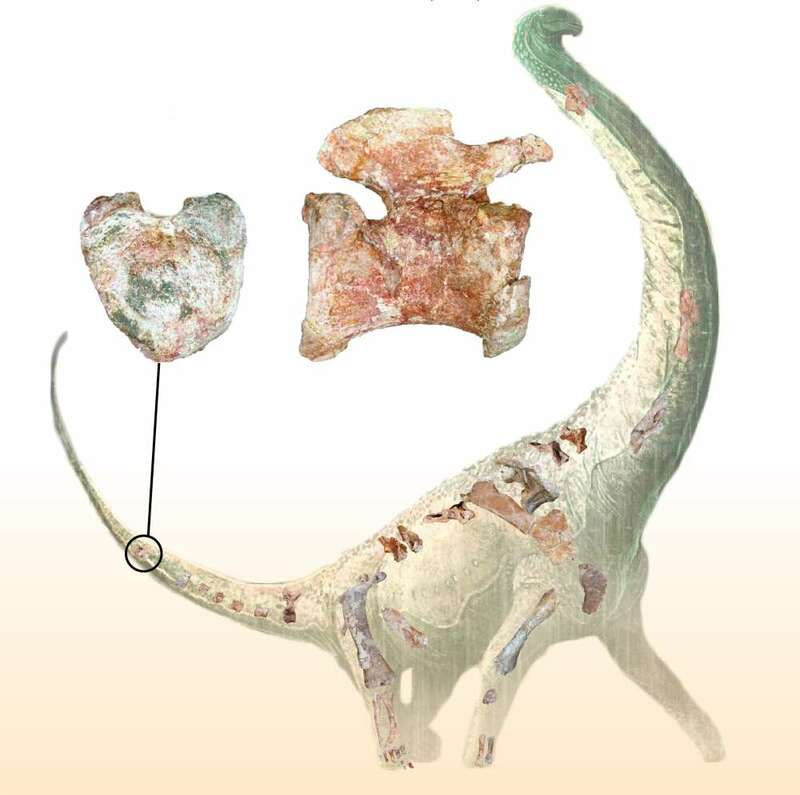 Dubbed Mnyamawamtuka moyowamkia (Mm-nya-ma-wah-mm-too-ka mm-oh-yo-wa-mm-key-ah) – we won’t judge you for skimming over that one – the long-necked sauropod was found in the cliffs along Tanzania’s Mtuka River. Its tongue-twister name is from the Kiswahili (Swahili) word meaning “beast of the Mtuka” and “heart of the tail” given its heart-shaped tail. This particular specimen is exceptionally well-preserved and one of the most complete – especially from Africa. Partial remains were preserved from every major body region, including ribs, parts of the spine, limb bones, and teeth. Titanosaurs were the most abundant and widespread group of sauropod dinosaurs and the largest terrestrial animals ever to exist. Their populations peaked at a time when all other sauropod groups had vanished, but their evolution is poorly understood because of a lack of well-preserved fossils and, of those that have been found, most were excavated in South America. First discovered in 2004 in a high cliff over the riverbed, researchers excavated the remains over the course of four years. It’s the third species to be described from southwestern Tanzania and is described as a “four-dimensional connect the dots”, contributing to our understanding of what ecosystems on continental Africa were like at the time, as well as how titanosaurs were distributed around the world. “Each new discovery adds a bit more detail to the picture of what ecosystems on continental Africa were like during the Cretaceous, allowing us to assemble a more holistic view of biotic change in the past,” said Gorscak.